Apparently manufactured by Hitachi. At least there is a Hitachi logo on the PCB, which can be seen on this picture. Although Ultra Mobile ICH7-U claims to be missing SPI interface, it appears this device contains the system boot code. More specifics may be found in Nanya's website. More specifics may be found in Samsung's website. Cypress calls this chip a 'low-speed USB Peripheral Controller' but in aTV it has nothing to do with the external USB port. It is an 8-bit microcontroller with 8K of FLASH and 256 bytes of RAM, also a possible watch-dog timer for the system. 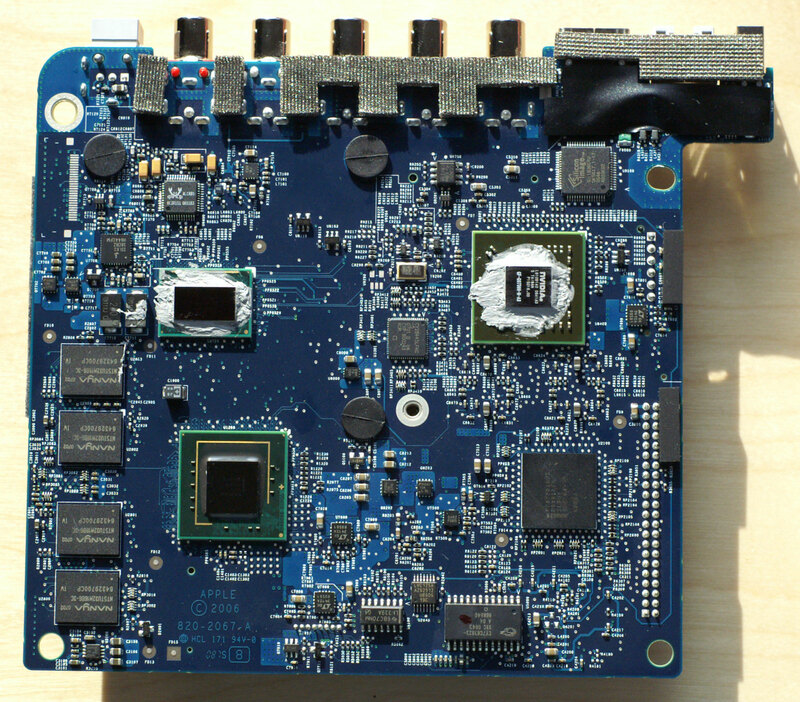 Its various GPIOs go to the header that the front baby-board connects to. This page was last edited on 20 December 2012, at 12:45.